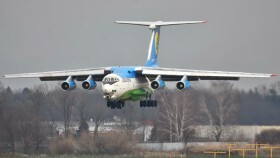 Tupolevs 154 (reg. 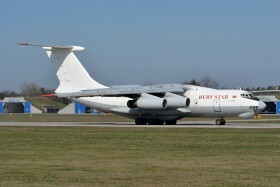 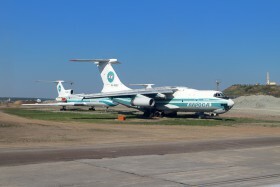 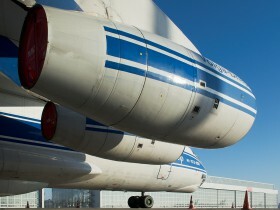 RA-85782 on rear left) and an Ilyushin 76 occupy the junkyard of Mirny airport. 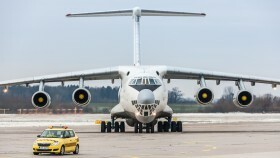 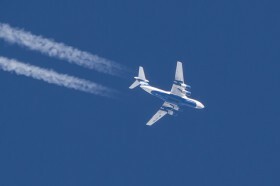 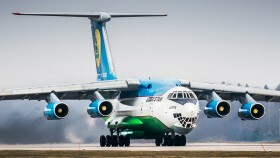 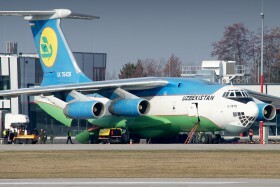 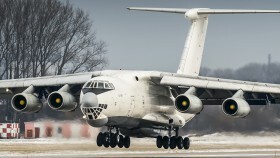 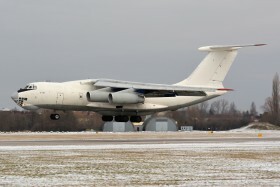 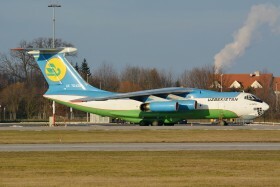 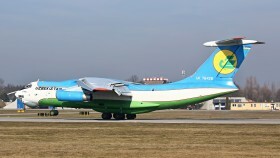 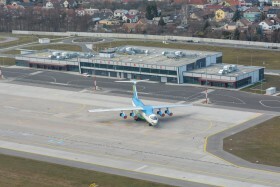 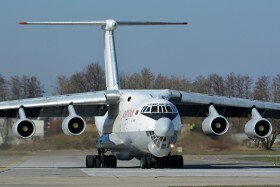 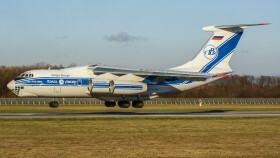 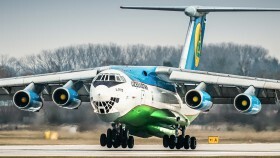 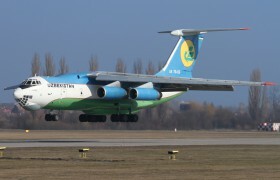 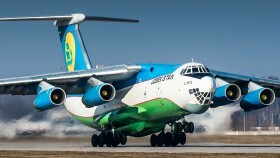 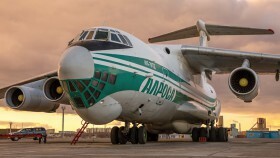 Despite the Ilyushin is grounded since 2010 in local harsh climate its apparent condition is surprisingly good. 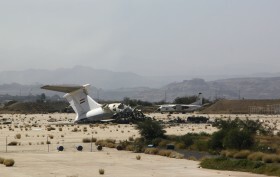 A drill rig that was used at the local famous diamond mine is exhibited on top of the spoil tip at right.